Negroni is the most known brand of charcuterie in Italy. It has been a leader in the market of premium delicatessen meats for over a century, and is still a landmark to consumers. The success of Negroni is based on a wide and diverse product range and on the enhancement of high quality standards, while strongly respecting traditions. Negroni has always paid particular attention to new trends in consumer expectations, offering unmistakably flavoured specialities for unique tasting experiences. Quality in the ways of consumption, as a way of modernizing the tradition of premium Italian gastronomy as well as diffusing the typical and authentic Italian charcuterie worldwide. To uphold its commitment, the company combines the exclusive use of high quality ingredients with utmost technology production processes. 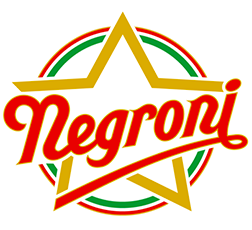 The success of Negroni's products is the result of freshness, convenience, ingredients' genuinity and lightness, combined with taste and creativity. Cremona (salamis and other products), Zibello (Culatello and other dry-cured specialities), Correggio (pre-sliced products and others), Villafranca (cooked hams), San Daniele - 2 plants (San Daniele Ham), Tizzano Val di Parma (Parma Ham), as well as commercial subsidiaries in France and Switzerland.